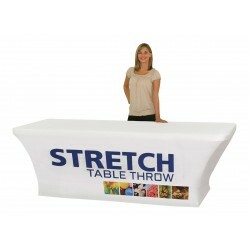 This custom printed table cover fits a standard 30" tall 6' table and adds a professional touch to any display setup. 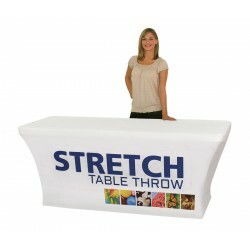 Make your display setup look more professional with a custom, dye-sub printed table throw that will leave a positive impression with visitors. 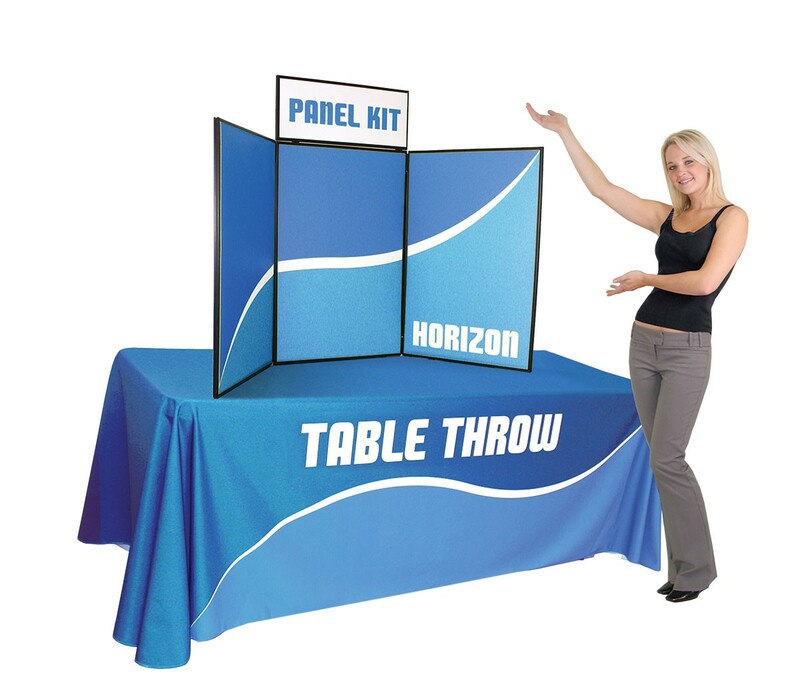 Unlike other options on the market, we still print our table covers at the highest quality on a high quality fabric and refuse to participate in this race to the bottom in order to beat the pricing on cheaper products and Chinese imports. 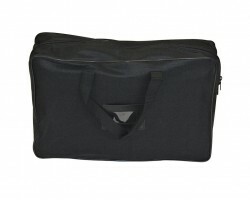 Instead, we offer a great price on a great product that is made in-house. For those who wish to save a few dollars and don't care about quality, you can contact our office and we can provide pricing on alternatives to meet your needs. 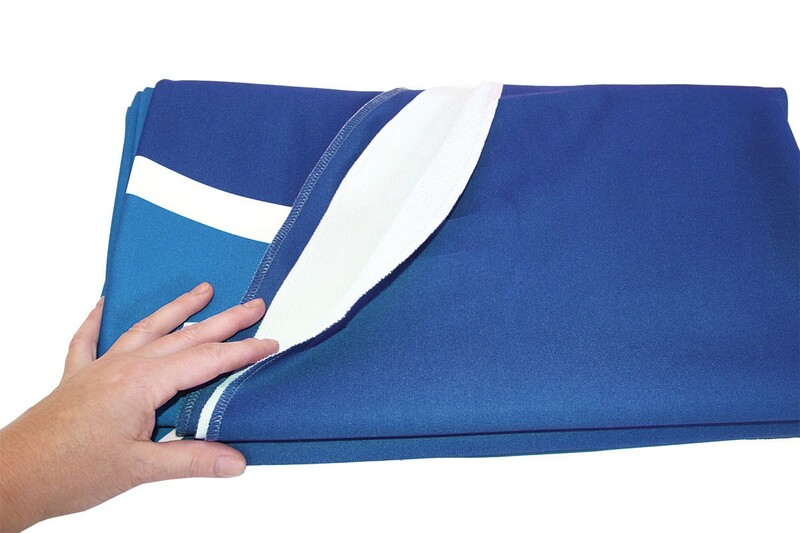 Printed in full color on satin finished display polyester fabric using dye sublimation printing technology, the resulting print offers vibrant color that becomes part of the fabric for the ultimate in durability. 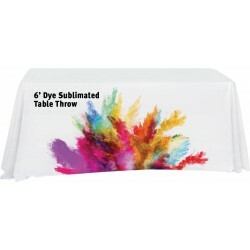 The table cover can even be machine washed or dry cleaned. See the Instructions tab for complete details. 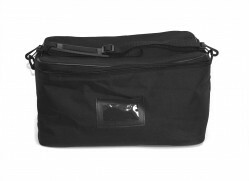 Total Graphic Area: 126.5" x 84"
Front Visual Area (Approximate): 66” x 20"
Total Graphic Area: 126.5" x 62.75"